Get ready for a very animated SUPERNATURAL…literally. In Thursday’s new episode of the long-running CW drama, Sam (Jared Padalecki), Dean (Jensen Ackles), and Castiel (Misha Collins) find themselves transported to an animated reality, where they cross paths with the Scooby gang. 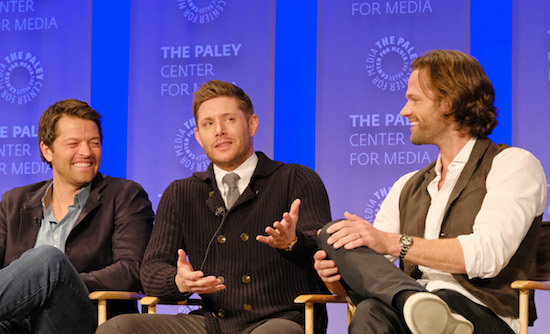 Jared Padalecki (Sam), Misha Collins (Castiel), and Jensen Ackles (Dean) tease what fans can expect from the animated hour. The CW released a featurette ahead of the ridiculously fun episode, “Scoobynatural,” which shows footage of the show’s stars recording their dialogue, some of the rough animation (and well as clips from the hour), and more.